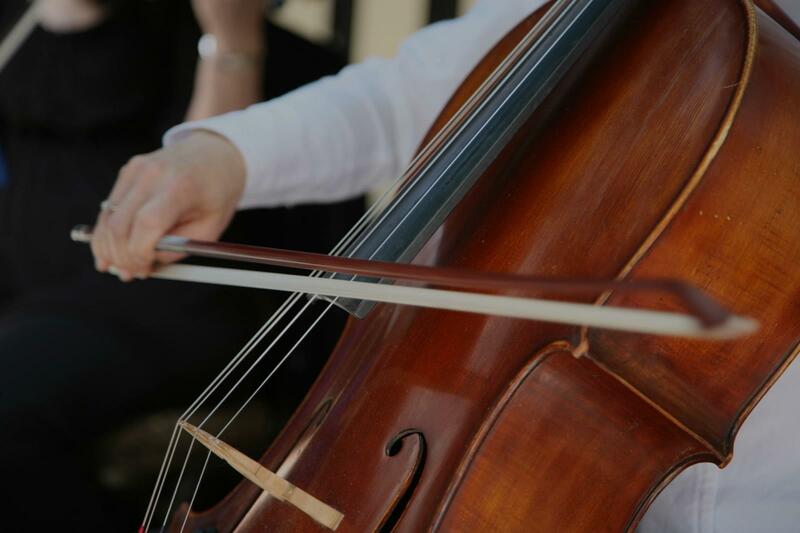 Find the perfect teacher or instructor in Whittier for private cello lessons in your home or in their studio. Check out some of our most popular teachers near Whittier including Aurora, Littleton, Englewood, Arvada and Parker. Chandrika teaches private cello lessons to students ages 7 and up, from beginner to advanced skill levels. She customizes lesson plans for each student to ensure every lesson is a positive experience. Curriculum is taught using different method books, and styles of music tailored to the students interests and goals. I teach in my home studio for either 45 or 60 minutes and travel for the 61 minute rate. I also offer sliding scale rates, please contact me for further information. Hello to my prospective future students! My name is Ted and I teach in the Denver/Lakewood area. I've been playing cello for 10 years and have experience in almost everything performers are doing with the cello in the 21st century, including: Classical performance, recording, gigging, improvisation, looping and effects, and arranging cello performances of many pop songs. I teach with a set curriculum in mind that bends to where my individual students' passions lie; no matter what your goal is with the cello, I believe l will be able to guide my students in achieving it. ate many opportunities for an inexperienced cellist. As a teacher, I to create the same passion for music in students that I have enjoyed and wrestled with throughout my career. I employ a similar teaching style to the best professors I have studied under, but also realize the relevance of the cello to modern music and therefore teach any genre on cello. The best reason to learn an instrument is so that you can eventually transcend it. Ted Leininger began playing cello after listening to a video game soundtrack that had a great cello part in it. After that, he never stopped. Starting as the last chair cellist, he was in an advanced orchestra group by his senior year of high school. At Metro State University he studied under Charles Lee, the Principal cellist of the Boulder philharmonic. He thoroughly studied classical technique before transferring to UCDenver as a double major in Cello performance and Audio Engineering. He studies various types of music, pursuing genres like Jazz and Bluegrass in addition to Classical. He regularly performs with independent singer-songwriters and is actively gigging as a studio musician and band member. My lessons are very experiential. I give frameworks and challenges to my students and let them figure out many answers by themselves, step by step, so as to make them independent musicians, not dependent on a teacher's presence. We not only cover technique fundamentals, but also the most effective ways to practice; stage presence training, energy management, the cello world and culture and more. My work aims at fulfilling the student's goals with the instrument and with music. I started my solo and backup singer career at the age of 12, working for RG Recording Studio (Italy). When I was 15 I founded a children's choir (ages 5 to 15) called Voci di Pace. I trained them as soloists and as an ensemble, as well as conducted them through the professional recording of dozens of CDs. I also trained and conducted students for the recording of highschool musicals. I began my conservatory bachelor degree training in cello and chamber music in 1997, and graduated 2010. Since then, I have studied singing technique with pop star Silvia Mezzanotte and with opera singers Chiara Fiorani and Noa Frenkel. I love to teach singing, singing in Italian and Italian diction to students of all ages and backgrounds who are ready to explore their own souls and bodies and to learn how to be themselves through sound and music. Giorgia is an awesome teacher! I was nervous about singing in front of people, but Giorgia creates a comfortable environment and makes every lesson informative and fun. I have a much better understanding of the fundamentals of singing and I feel more confident. Unfortunately I am moving out of the area, otherwise I would definitely continue lessons! Giorgia was my first teacher in singing when I was just 8 years old. Since then she has always been a model for me: her talent, her competence, her determination really impressed me. She is able to teach very delicate and complexed topics with genuine irony letting your hair down. I strongly recomend her as a teacher, and I will always thank her for letting me able to apreciate at best music. Giorgia is amazing! She has an incredible ability to make you feel safe to be vulnerable and open. I was very shy with my voice and Giorgia was the very first person to be able to make me sing in front of another person. She takes you through the basics and explains very constructively how things work. I can recommend her to anyone who is wanting to discover their voice! "Chandrika is great and very inspiring! Blends music theory well with practice lessons. Definitely look forward to more lessons with her." bout schedule changes. I highly recommend her!" e before our next lesson. I would definitely recommend her." rrific job of introducing me to the instrument. She's very friendly and fun to learn with. I would highly recommend Chandrika to anyone wanting to learn the cello!" "Organized, attentive, kind, and patient. Went above and beyond what was expected! Everything you would hope a teacher to be :)"